This project for the U.S. Forest Service in Montana was to commemorate the tragic wildfire in 1949 where 13 firefighters were killed. I researched, wrote text, designed and illustrated the signs. From where you are standing as you read this sign, you can see down into the gulch where the tragedy took place. 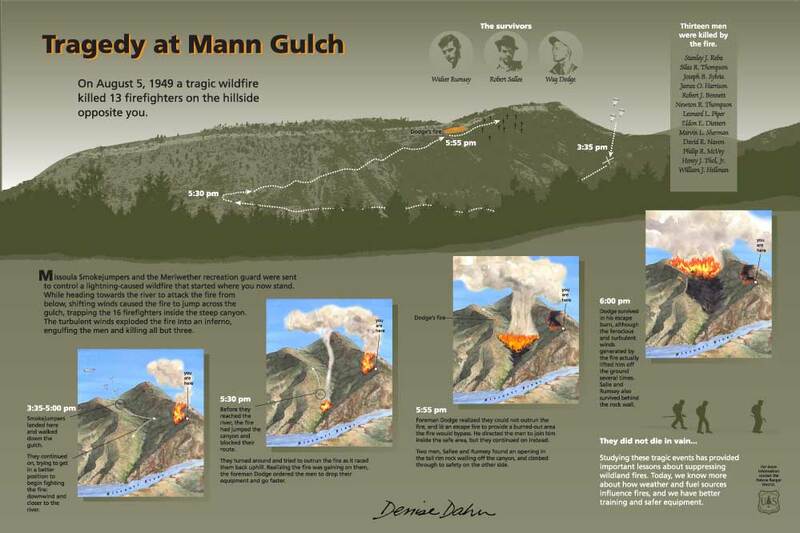 The illustrations show where the fire started, how it grew, and the men's futile path to try to escape the flames. Only 3 men made it out alive.